When I was growing up in Michigan, I always made a conscientious effort to recycle aluminum cans. Recycling the cans just made a lot of sense to me not because it was good for the environment, but because the metal could be reused again. Why throw it away? Even more, in Michigan you get cash refunds for every can. Mind you this was the late 1970's, and I was just a little kid. The first Earth Day was celebrated in 1970, but back then people were nowhere environmentally conscious as they are now. 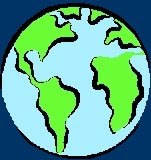 Now, most folks have changed their lifestyles all in the name to be "green". Instead of printing hard copies of receipts, invoices, and other documents, I use deskPDF to convert the forms to electronic PDF documents. This also makes it easier to search and find documents on the PC, and reduces inkjet and toner usage. Turn off computers, instead of putting them in standby, when I know I'm going to be away from the office for more than three or four hours. Charge my cell phone (as well as my MP3 player) in the car instead of using household electricity. Print on both sides of sheets of paper to reduce the number of sheets used in a printout. Recycle inkjet cartridges. Staples offers store credit via their rewards program for every cartridge you bring in. 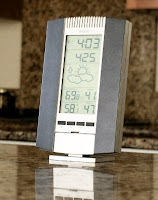 Use a thermometer/hygrometer with an exterior sensor to monitor outside temperature and humidity, and optimize interior climate control for less AC usage. When I have a small order at a store, I usually tell the cashier I don't need a bag (for less plastic waste). Turn off the electrical power to the studio equipment at the end of each day. Conversely, it's been said that it's best to leave a Mac computer on all the time--something about UNIX and background maintenance--but in the years I have had my Apple G5, I have not experienced any major issues turning it off when I didn't need it. On a personal note, I installed a shower head with an adjustable valve to reduce wasting water. Dimmable fluorescent light bulbs are now available, and once incandescent bulbs die out, I replace them with fluorescents. And although I am a techno geek, I am ironically not an early adopter. In fact, I consider myself a "late adopter" especially in this day of buggy, unreliable software and low-quality, cheap electronics. Point being, I don't go out and get the latest and greatest. Whether it's for business or personal purposes, I carefully research and invest in equipment to avoid and minimize obsolescence. Less electronics means less toxic waste in landfills. Now if you will excuse me I have to go hide from electronics sales reps.